← Happiness is little hugs! So first, I apologize for missing my weekly post last night. I headed to Vegas a day early in order to meet up with my cousins and their two young boys. The older one (3 years-old) is a full on wildman, his younger brother at 9 months seems destined to follow in his steps. Both are really adorable fun kids and it was great to spend some time with all of them last night and for breakfast this morning. It’s hot in Vegas right now folks, we’re talking temperatures in the 108 to 110 range. For someone who has spent the last two years living in the Mojave Desert, I’m as used to this type of heat as I think a human can be, but boy it’s hot. So, I’m spending my afternoons napping and writing. A few days before I came to town I was the guest speaker in a career exploration class and at the end I opened it up for questions. I had talked about traveling cheaper at one point during the talk and had mentioned heading for Vegas. One of the students asked me how to travel cheaply in Vegas. I related to him what I had done some years ago and had a blast doing it. I had looked up on the internet all of the super cheap food and drink specials as well as all of the free giveaways, free spins etc… all over town. So I spent a day walking miles and miles collecting free decks of cards, mouse pads, taking free spins on machines, eating 99 cent shrimp cocktails, hot dogs and ice cream sundaes and finished up with a $7.99 steak dinner. My nieces and nephews got a huge bag full of trinkets. So I related a bit of this information to the student and then before coming into town I redid the search. I owe that student an apology, time goes by fast and things change and almost none of the things I did on my free day actually exist anymore in Las Vegas. Now there are still lots of free things to do in Vegas. Although most of these things now are basically the front face to the casinos or decoration within them. However, there are gardens, artwork, dancing fountains and a volcano. I’ve also heard that Treasure Island, now known as TI, might be bringing the pirate show back, that would be awesome. Another little thing happened right before I got into town. I’d heard that some of the casinos had been adding parking fees to parking at the casino and yes, the place I’m staying had jumped on the bandwagon. I also came across another change, I play craps, and one way to actually gain an advantage on the casino, the only game where you can, is high odds, and low place bets on the craps table. Pretty much universally craps tables offer something call 3-4-5x odds. So if you can find a table with more than 3-4-5x odds, and less than $5 dollar minimum bet, you have an affordable table game where your odds are better than anything else you can get at a casino. But now, Wynn hotels have gone to 2x only odds on craps tables, this on the heels of it becoming incredibly hard to find a game on the strip with a less than minimum $5 bet, heck it’s even getting hard to find $5 tables. I get it, the casinos are about making money, but just like the airline industry they are starting to gouge in every possible way. Honestly, this will make me less likely to come to Las Vegas in the future and really makes me conscious of which casinos I spend money in. Might be different if casinos were losing money, but that is not the case. So all of this made me a little nostalgic for the old days in Vegas. 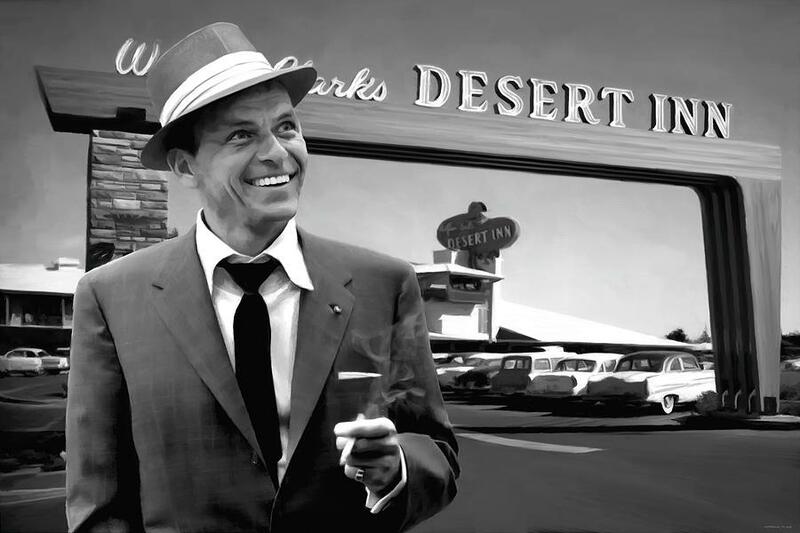 No, photo above aside, I was never in Vegas in the old Rat Pack, Sinatra days. But I very much remember my first solo trip to Vegas. There used to be an old Holiday Inn where the City Center and Cosmopolitan used to be that was really reasonably priced. I was in the room and it had a view out toward the desert and an amazing thunderstorm lit off. I laid on the bed and for about 30 minutes with the lights out just watching the storm, it was a great night. In that same area years later, there was a strip mall that had an absolutely amazing New York style pizza place that I absolutely loved. I was reminiscing about cheap craps, and walking down to the Riviera that had thousands of square feet of penny and nickel slots. Back in those days even quarter slots was a bit extravagant for my $200 per trip gambling budget. Back then Circus Circus didn’t seem so unbelievably old and I used to love the cutting edge arcades around town. Not all of it was awesome, actually using coins in slot machines left your hands utterly filthy, even though there still is too much for me, the levels of cigarette smoke in the casinos was absolutely disgusting. The rooms and the pools were certainly not as nice and the strip didn’t look as amazing as it does today. 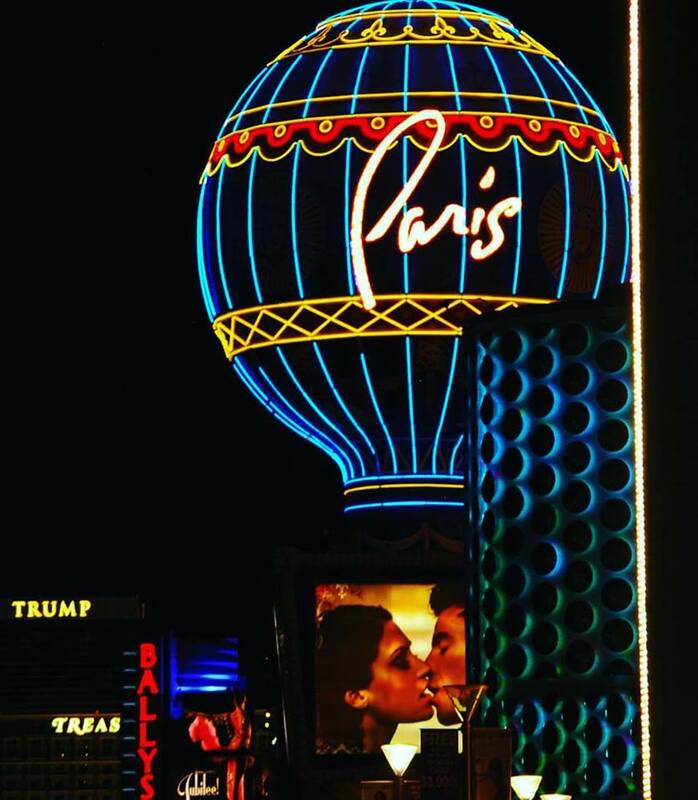 This entry was posted in personal happiness and tagged adventure, happiness, las vegas, memories, nostalgia, travel, vegas, vegas baby. Bookmark the permalink.